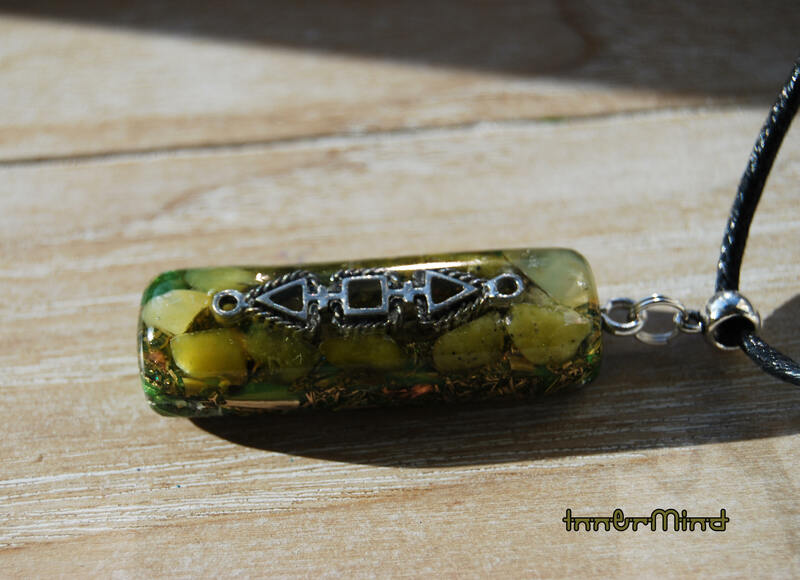 This lovely orgone pendant contains aluminium, brass and copper shavings, Olive green Jade (front), Rhodizite (for enhancing the other stones), Pyrite powder (to increase the overall power of the pendant), Selenite pieces (keeps the energy fresh and cleanses and recharges the other crystals) and a small terminated clear Quartz point all within a durable resin setting. It has a metal alloy symbol in the front which to my knowledge has no particular meaning but ive only chosen it for decorative purposes. 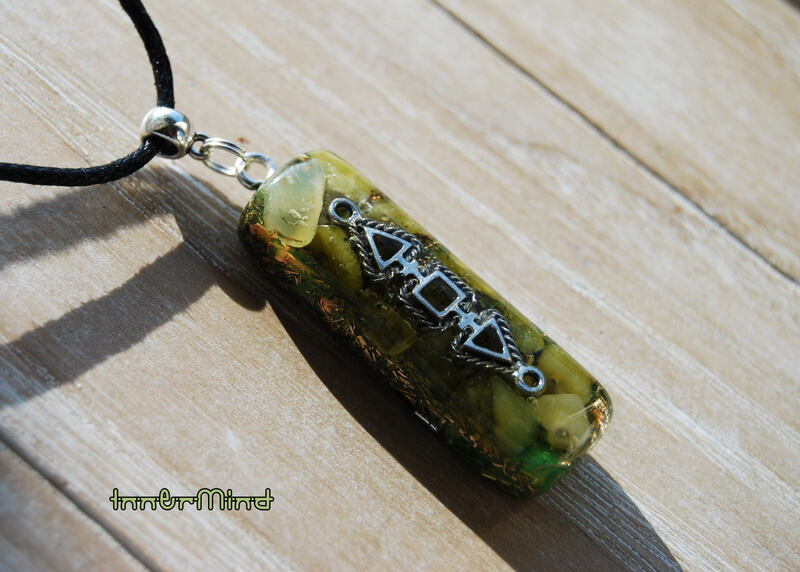 Green Jade helps unblock and heal the heart chakra. 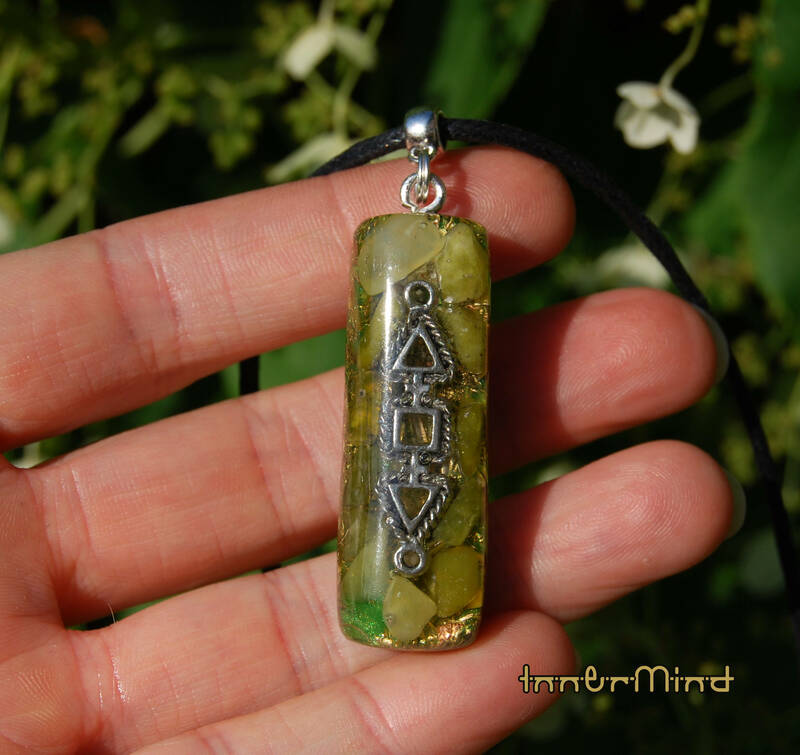 The primary feature of Rhodizite crystals is that they are amplifiers of energy, as they hold Solar power. You can hold a Rhodizite and another crystal together, and the second crystal's energy is vastly multiplied, without changing the inherent properties of that crystal. 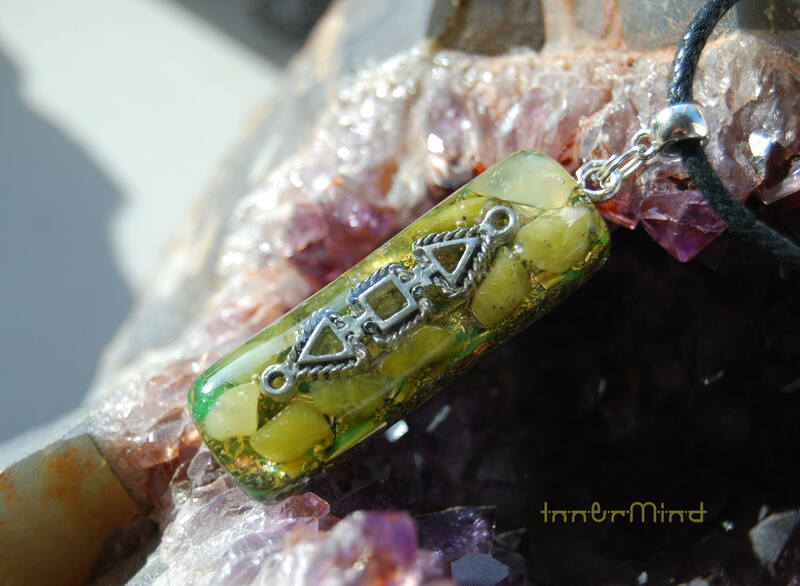 Rhodizites can also very quickly clear and align all chakras, and activate primarily the higher chakras--third eye, crown, and transpersonal. They also have a profound effect on clearing the Heart, and working on the Solar Plexus, to provide empowerment and manifestation of Will. With their amplifying effect, they can greatly assist with helping one to manifest their intents in the physical realm. 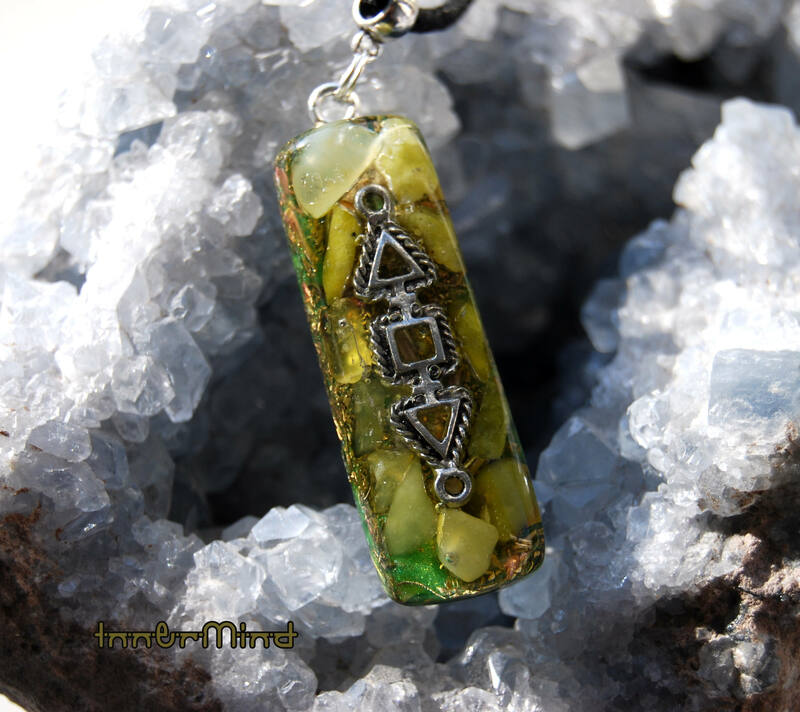 Rhodizites also elevate mood by bringing high frequency energy into the emotional body, creating a sense of bliss, joy, and upliftment. They create a purification process that helps to put the body in harmony and balance, and also clear the path for Lightbody integration.